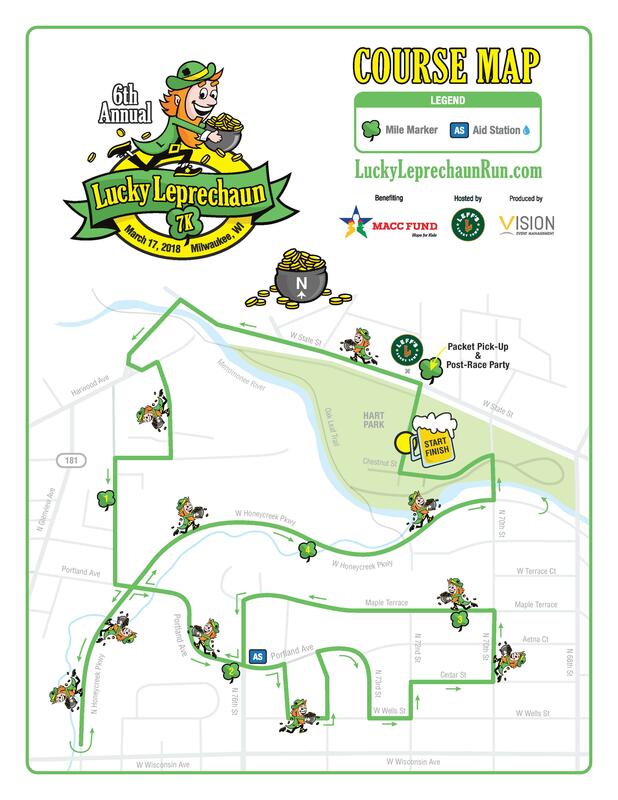 Run or walk your way in St. Patty's style through the beautiful town of Wauwatosa for our 6th annual Lucky Leprechaun 7K (that is only 4.3 miles people). Starting and finishing in the historic Hart Park, this route is a runners paradise! With our 10:00AM start time you'll have plenty of time to get rested up for the BEST Post-Race Party in Milwaukee! The race is open to all ages and benefits the MACC Fund. Thanks to you, we have helped raise more than $25,000! Become a Gold Runner to raise money for the MACC Fund. Join us as we 'Celebrate St. Patty's, Milwaukee Style'! No refunds or transfers. Reassignment or selling registration is not permitted. Founded in 1976, Midwest Athletes Against Childhood Cancer, Inc. (MACC Fund) is dedicated to funding childhood cancer and related blood disorders research. Our goal, with your help, is to find a cure for childhood cancer and related blood disorders by providing critical funding for research. The MACC Fund gives the Gift of Hope through Research. Every penny counts. Every donation matters. Why? Because every child battling cancer or a blood disorder is someone's child, someone's sibling, someone's friend. Every donation gives hope to a child fighting cancer or a blood disorder. Our goal is to fulfill the mission and to cure the MACC Fund out of existence. For more information please visit MACCFund.org.